The fourth request from the country begins. Cummins completes the answer of 100,000 sets. If we set July 1, 2013 as the first day of school, then it will be four months before the implementation of the fourth national emission standard for diesel vehicles. On November 5th, 2013, Cummins China's 100,000th post-processing product line went offline, and Cummins Emissions Processing Systems has provided domestic and international emission treatment systems required by 100,000 Taiwan IV since it settled in China, becoming a Chinese diesel engine's environmental protection. The best answer to the upgrade process. As the most important part of the implementation of the entire four-emission standard for diesel vehicles, the production of post-processing equipment has undoubtedly played a key role in the smooth implementation of the National IV. There is ample supply of post-processing equipment. As the first engine company to meet Euro IV, Euro V, EPA 2010, and EPA 2013 emission standards, Cummins has all types of exhaust aftertreatment technologies, particularly in Europe and North America, SCR (Selective Catalytic Reduction) and EGR (Exhaust Gas Cycling) technology has been successfully applied and market tested. Cummins Emissions Disposal System (China) Co., Ltd. was established in 2007, with a production capacity of 180,000 units in 2013 and a design capacity of up to 650,000 units per year. It mainly provides emission treatment solutions for Euro IV and Euro V related products. The company can produce core post-processing subsystems such as hydrocarbon injection systems, urea injection systems, engine and post-processing control modules, and ultra-low emission system decomposition reactors. In addition, for specific markets, Cummins has also developed EcoFitTM series of post-processing products that can adapt to the needs and needs of different markets, and achieve more efficient and more compatible. At present, the production of 100,000 post-processing green products has been sold to Europe, China, Russia, Brazil, South Korea, Australia, Central and South America and other global markets. For many years, China has continued to upgrade emission standards. From Europe 1, to country 2, to country 3, to country 4, time is very short. Although the country has not yet fully implemented, some peopleâ€™s eyes have been aimed at the country. Five standards. "Cummins has ample reserves for this technology. In 2002, Europe had already implemented the Euro IV standard. At that time, Cummins was the first company to meet the Euro IV standard." Srikanth, general manager of Cummins emissions processing business, told reporters "From now on, Europe, Europe, Europe, and Europe are six. Even if it is the post-European era, Cummins has actually reserved four generations of emission-removal technologies for technological upgrading. Therefore, from a technical point of view, there is no problem at all. of." In recent years, many cities in China, including Beijing, have continuously encountered hazy weather, and the air quality has continued to exceed the standards. Some studies suggest that automobile exhaust contributes about 30% of PM2.5, and the industry is increasingly pressing for energy conservation and emission reduction. The purpose of implementing a new vehicle exhaust emission standard is to solve the increasingly serious problem of air pollution. What specific effect can the National IV emissions and post-treatment system play for the reduction and deceleration of haze? Cuming Ming, general manager of Cummins Emissions Disposal System (China) Co., Ltd., said that the smog we see actually comes from different substances, emissions from power plants and cars, and the geographical location of Beijing. Well, the basin is easy to form. This kind of haze does not easily spread. From the perspective of post-processing technologies and products, there must be a significant reduction in exhaust emissions. But now the regulations still require new cars to be equipped with post-processing technology, but cars running on the road are not. If the country can install an exhaust gas treatment device earlier in the car, then this is also very important for reducing haze. In addition to cars, the power plant's pollution to the environment is also very serious, especially in thermal power plants. If the emission treatment can be done well, then the root causes of smog formation can also be broken. Despite the fact that the emission standards have not been upgraded at a high speed, the exhaust pollution from urban motor vehicles is still serious. The industry believes that the reasons for this phenomenon are not only optimistic about the increasing number of vehicles, but also the implementation of emission standards. Industry insiders said: "In general, the vehicle mileage of 78,000 kilometers should be replaced after the exhaust gas after-treatment system in order to protect the emission standards." However, owners who have been driving for more than 20 years, said that the basic maintenance After exhaust gas treatment system. "Newly purchased cars generally meet emission standards. Old cars can pass an annual inspection when they spend a small amount of money at the annual inspection. No one wants to spend more on maintaining the updated exhaust after-treatment system." Manufacturer of tail gas aftertreatment systems It also stated that the company's business is mainly for the vehicle manufacturers, maintenance market basically no demand for the product. In addition, during the implementation of the heavy-duty diesel vehicles in the country, in addition to the above-mentioned problems, there is still the problem that the quality of oil products has not yet reached the standard. "Guosan Diesel should meet sulfur content of not more than 250PPM, but some local refineries have poorer oil quality, and some even have a sulfur content of 1,000PPM. The country's three oil products have not yet reached the national standard, and the country's four emission standards nationwide It is more difficult to implement the scope, "said industry insider frankly. The upgrade of emission standards requires the cooperation of automobile manufacturers, component manufacturers, and oil companies, and it is necessary for local governments to continue to supervise whether or not all products meet the standards. As the state increases its assessment of environmental indicators such as PM2.5, it will encourage local governments to implement stricter emission standards. The protection of energy-saving and emission-reduction effects requires continuous efforts in the use of subsequent vehicles. We also expect to see that in the next â€œsemesterâ€, all post-processing equipment manufacturers including Cummins will be able to submit a more satisfying answer to the majority of users. It is believed that the days of â€œopening the fog and seeing the sunny daysâ€ are no longer Far. The use of small flour machinery can be processed into different types of wheat products to meet people's living needs. Wheat flour can be processed into wheat flour and wheat flour through small flour machinery. Below, we mainly talk about the process of processing wheat flour by using small flour machinery. First, screening impurities. Before processing the flour with small flour machinery, we need to screen the raw materials and remove the impurities from the raw materials. This can effectively guarantee the quality of the small flour machinery and improve the nutritional value of the products. Second, clean the raw material. When the flour is processed, it is necessary to clean the raw materials, which can not only ensure the hygiene of the food, but also be beneficial to the production and processing of the small flour machinery equipment in the later period. Third, transportation of raw materials. Using the conveyor belt of small flour mechanical equipment to carry the raw material into it, it is sucked up by a vacuum tube vacuum, and the processing work of the Small Flour Machine is started. Fourth, product processing. 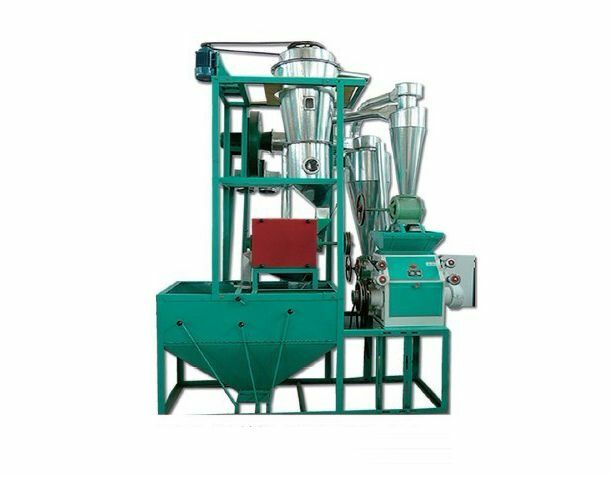 After the preparation of the above process, a small Flour Machine can be used to start the flour production work. Through these processes, the processing of the small flour machinery can be finished. The above process is to use small flour machinery to process wheat flour. In the process of processing, small flour machinery enterprises can carry out the process according to the process above, which can not only guarantee the quality of the processed products, but also effectively improve the production efficiency of the small flour machinery equipment. At the same time, in the use of small flour machinery and equipment to do well maintenance work, to ensure the service life of equipment. If you have any questions, please contact with us directly. Welcome you can visit our Factory.For inquiry,Please send mail directly to us.